Get your jars together because this Sunday is PICKLE DAY! It’s happening in the Lower East Side from noon to 5pm. 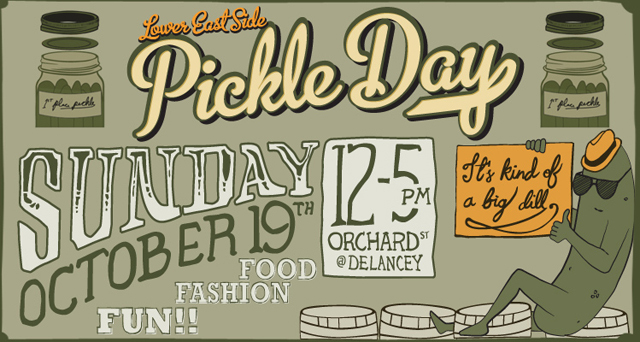 We encourage you to check out the website for Pickle day because it is so well put together. They really went the extra mile to have a good-looking platform. Also, if pickles are your favorite food, and you just can’t wait until this event happens, you can just stare at the countdown clock that they have conveniently placed at the top of their home page.